You can plant just about anything in December! As you harvest garlic and leeks, use the space for sequential plantings of lettuce, rocket, adian greens, carrots, beetroot, celery, silver beet, more leeks, salad onions. We tend not to plant the cabbage tribe (brassicas like broccoli and cauliflower) in high summer, since they taste pretty flabby in warm weather, get attacked by cabbage white moths, and we want the space for things that wont grow so well in winter. If your broad beans and peas are just finished, use that nitrogen enriched space to plant hungry things like sweet corn, zucchini, cucumber, pumpkin and even more tomatoes. Yes really! 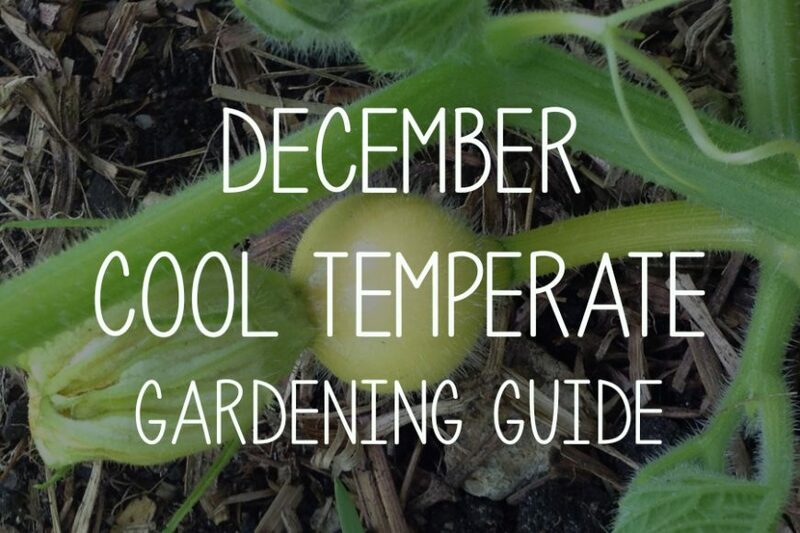 Small varieties like cherry tomatoes, pickling cucumbers, and golden nugget pumpkins, will complete their growing and ripening more quickly than huge voluptuous varieties like Brandywine tomatoes or Queensland Blue pumpkins. So go for the littler ones in later December plantings. Potatoes can still go in too – try ‘keeper’ varieities like Kennebecs to be harvested before next winter. Keeping up with weeding can be a challenge as the Christmas craziness accelerates this month. Remember that mulch is your friend, both for keeping the soil cool, and suppressing (or at least slowing down) weeds. If the weeds seem a bit out of control, try just picking a small area, say one section of a garden bed, and get that weeded thoroughly then covered with a good mulch layer. Then when you next get a chance, tackle another small portion. 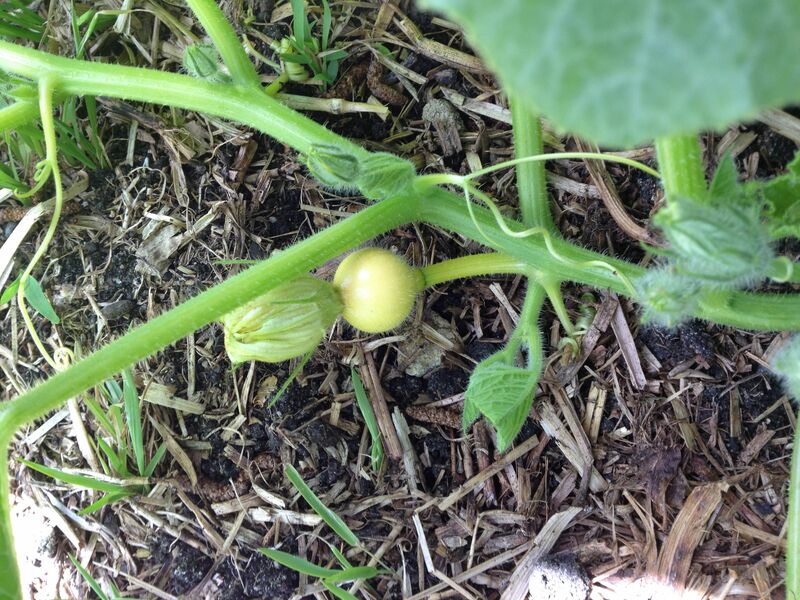 Mildews can affect new growth on apple trees, roses, and other perennials, as well as cucurbits and any late peas. For small infestations, just pick or snip off the affected leaves. Often the new growth will be more resistant to the problem. For larger outbreaks in perennials such as apple trees, consider if you can open up the canopy a bit to increase air flow. Or start investigating varieties that are not so susceptible to fungal problems. For the vegies that are mildew affected, a ruthless approach is good. Cut off leaves that are mildewy. And keep doing that. Sacrifice the last few morsels of yield to pull out a plant that is badly affected, and use the space to plant a new seedling that might be more resistant. Its berry time! Instagram and facebook feeds in cool temperate regions abound with photos of luscious raspberries, strawberries, currants and brambles such as logan berries. A truly delicious time! Excess berries can be made into beautiful cordials or vinegars, or frozen to be used after the memory of summer fades. Zucchinis are coming on soon, and the late peas and broad beans provide a green feast for garden snacking. Asparagus spears can still be picked – but for young plants let them grow after Christmas to send up a leafy ferny stalk that will send nutrients down to the roots, helping the plant grow strong. 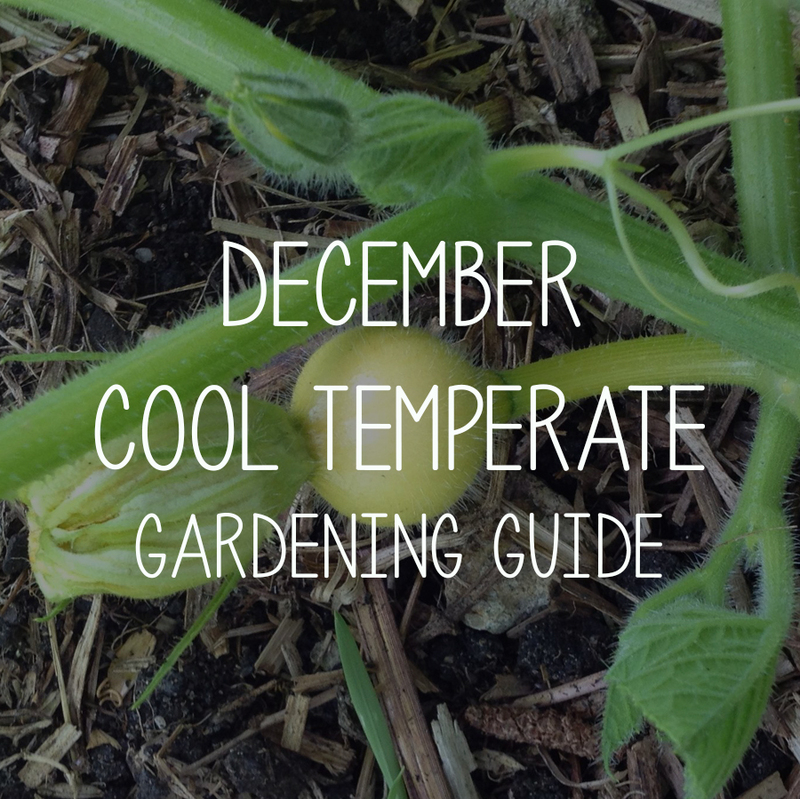 Gardeners are generally pretty well tuned into the changes of the seasons. Daylength, temperature, rainfall patterns all vary in a cyclical way. After gardening in one spot for some years you get to know what to expect in your patch. Until you get the unexpected of course! We’ve had some horror late frosts and wildly windy weather in cool temperate regions lately. Diversity, and staggering the planting, can be key to managing, or surviving, such exceptional circumstances. Another form of change that gardeners can use to their advantage is the life cycle or growth stage of perennial plants. When your fruit trees are small, there is heaps of room around them for strawberries, herbs, even a potato crop or some rambling pumpkins. Over the years as the trees grow and their canopy spread, the underplanting may change to more shade tolerant things like leafy greens. Simply sprinkling some seed packets of rocket, coriander, parsley and lettuce can provide you with an edible ground cover to harvest at will. Any non-harvested greens will eventually send up flower stalks, and attract beneficial insects to the orchard.